In September 2015, Ph.D. Candidate Amber Hickey accepted a new position as NYC SALT's Outreach Coordinator. NYC SALT is an arts non-profit providing photography education, as well as college and career support, to low-income immigrant youth in New York City. As the Outreach Coordinator, Amber's work centers around bringing NYC SALT's programming to New York City community organizations and Title I public schools. Amber recently initiated NYC SALT's new partnership with the YWCA, a class on Smartphone Photography for young women, as well as a forthcoming workshop series called "Picturing Immigrant Justice" with grassroots immigrant rights organization Make the Road New York. 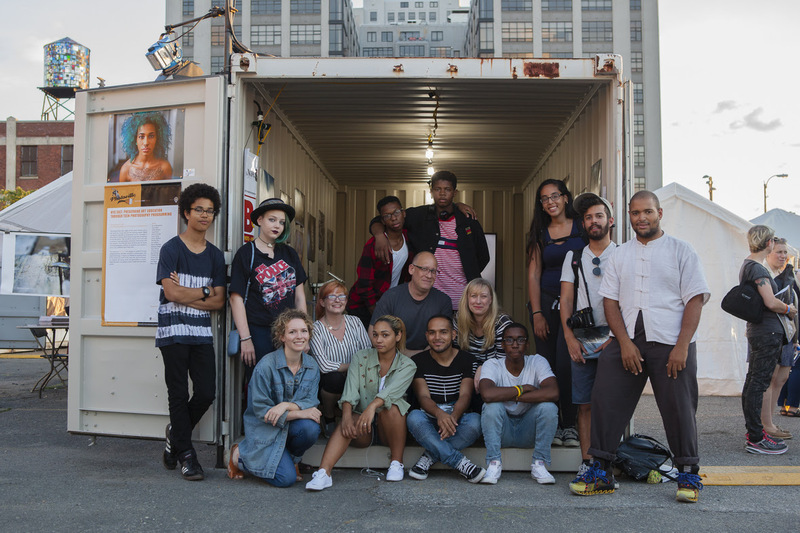 Image caption: Amber (bottom left) with NYC SALT students and team in front of their exhibition container at Photoville 2015. Image by Alan Winslow.